The FPL works to conserve and extend our Nation's forest resources. We advance healthy forests and forest-based economies through researching and promoting the efficient, sustainable use of wood. As an integral part of the FPL mission, we improve the long-term sustainability of our Nation's forests by creating valuable composite products from biobased materials. 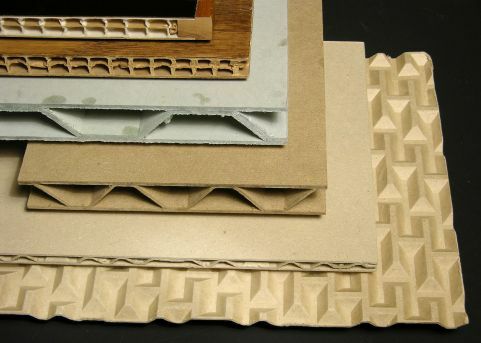 Composites encourage the use of undervalued materials and improve the economics of forest restoration projects because they can be made from a variety of materials: fiber, particles, or flakes from small trees, especially those from invasive species and overgrown forests at risk of wildfire; post-industrial and post-consumer wood wastes; and other natural biofibers, such as wheat straw, corn straw, and even chicken feathers. Composites research has a long history at FPL, and wood composite technologies have been used for decades to create building and home furnishing products. Composites are used for a number of structural and nonstructural applications including interior paneling, sheathing, furniture, and support structures in many different types of buildings. Wood-based composites represent more than 40% of the total materials used in residential construction in North America, making them the largest single material type used in residential construction. Wood-based composites have become so widely used because they are readily available, light, strong, easily worked, and cost-effective. Nonetheless, to expand into other markets such as non-residential and commercial construction and consumer goods, today's composites need to achieve enhanced performance, serviceability, durability, and reliability.